The Dura foam Contoured Large Tire Dressing Applicator Pads form to the surface of tires for an easy and even application. These Dura foam pads are constructed with two different foam densities and contour to your tire for superior even spreading with minimal product waste. These pads have rigid tough Dura foam which is perfect for easy gripping. Contoured design makes it easy to spread the dressing perfectly onto tires and sidewalls with minimal product waste. These pads have an easy grip which keeps your hands clean so no more sticky fingers, greasy hands or grime under your fingernails. 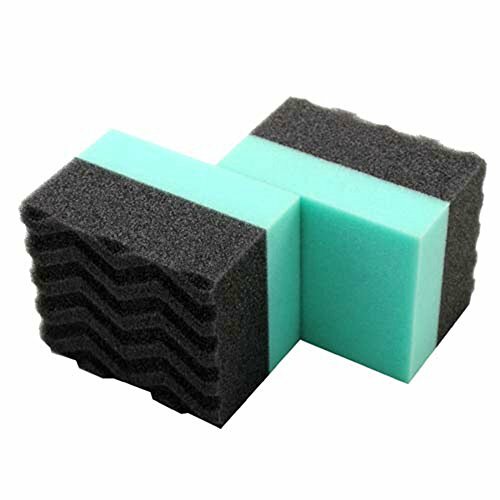 These Dura foam pads can be cleaned and re-used as many times as you like. Achieving great looking tires has never been easier or cleaner with these Durafoam pads.